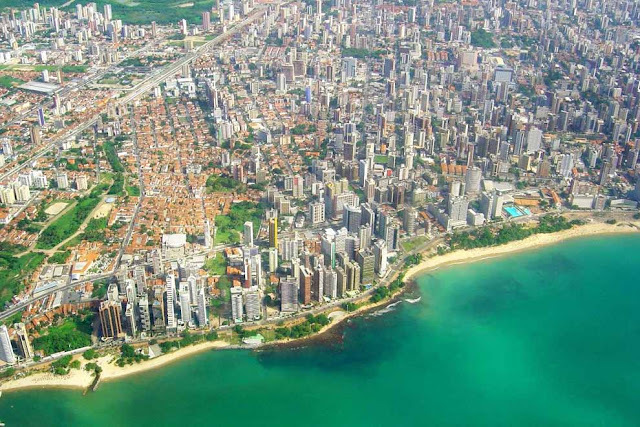 The Paraíba coastline has a length of 138 km, from the estuary of the river Grajú (north, bordering with the Rio Grande do Norte) to another estuary, the Goiana River to the south, and borders Pernambuco). 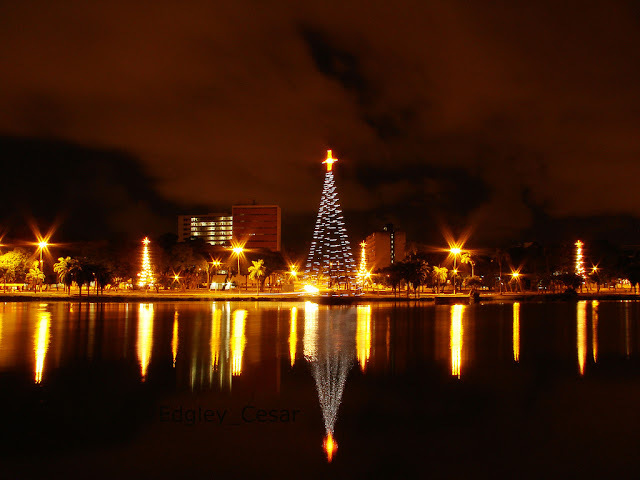 With a humid tropical climate, rainfall in winter and part of the fall, has about 55 natural and urban beaches, where its white sand, blue-green sea is incremented by gentle coves, estuaries and surrounded by cliffs and coconut grovess, cashew, maçarandubas trees. 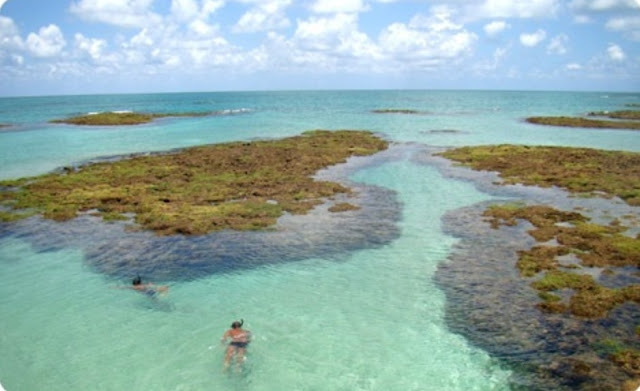 Tambaú - 1 Km The Sea Inside, up to the beach Tambaú, there is the presence of reefs coralineos, discontinuous, softening the force of the sea and acting as a natural breakwater that in times of lower tides is called Picãozinho where access is only by boats. Reefs emerge as plateau cut by canals and pools of clear and transparent waters that one can clearly see small fish and crustaceans. Cabo Branco - Beach of Seixas, Easternmost point of the Americas, where the sun rises first (at 4:50 AM! ), this narrow beach is dominated by the Cabo Branco, with lighthouse located above the cliff. This cliff is now threatened by the action of the sea and man..On the beach of Cabo Branco there is a range of limited beaches by vertical walls of cliffs, with an average height of 50 meters, framing the South coast and being formed, predominantly, by reddish color of land, covered by the rest of Atlantic forest, which predominated in significant coastal area of ​​the state. Part of these forested slopes were listed by the Federal Government and are environmentally protected area. Tambaba: A 25 km from Joao Pessoa, located at Barra de Garau, in the municipality of Conde in Tambaba, was installed the first official naturism camp in the Northeast, the second of Brazil. With a length of 1.7 meters of pure wild beauty and is protected by its high and steep cliffs, sometimes covered by a dense forest, now denuded, highlighting the colors of red or white land. 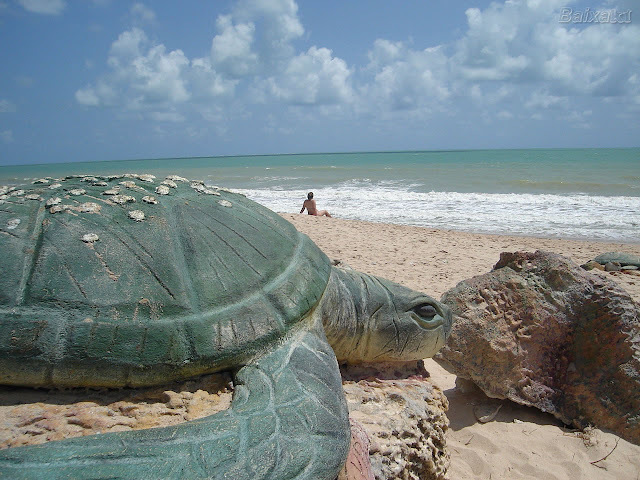 Access to this beach is facilitated by state highway PB-008, integrated to the highway Conde-Jacumã. Coqueirinho: The beach Coqueirinho, as the name says, has many coconut trees. It has rounded shape with several cliffs. In one of its parts has clear water, mild waves and reefs. At another point, it has strong waves in the open sea, forming natural caves in the rocks. 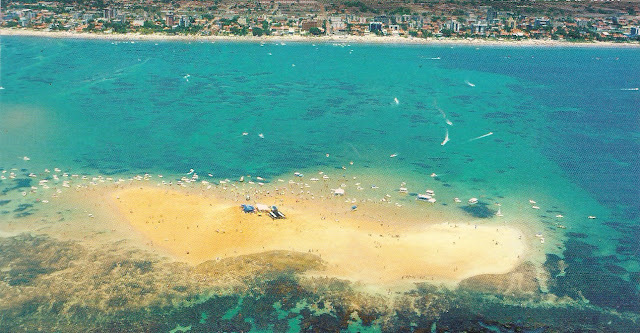 Coqueirinho is considered to be one of the most beautiful beaches of Paraiba coastline, ideal for diving, surfing and practice of deep sea fishing and camping. Areia Vermelha: It's not a beach but an island that lies 1.5 km from the coast, located on the beachfront of Camboinha in Cabedelo. It appears only when the tide is low. Its name comes from the color of its reddish sand and it is a paradisiacal quiet place formed by natural pools, fish and coral within reach at the hands. The water is crystal clear, great for snorkelling practice. 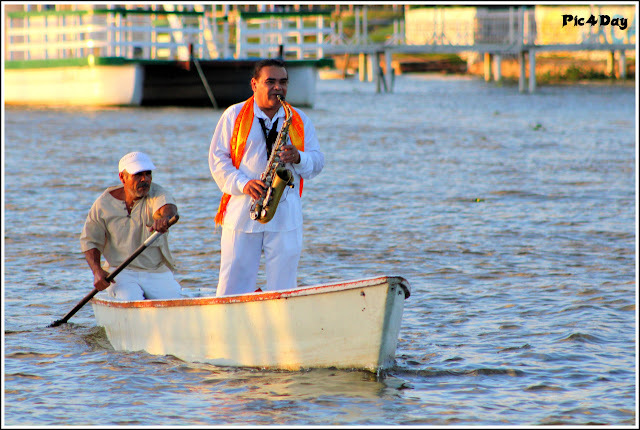 Praia do Jacaré: Here nature offers one of its most beautiful spectacles associated with what human culture is capable of producing better. 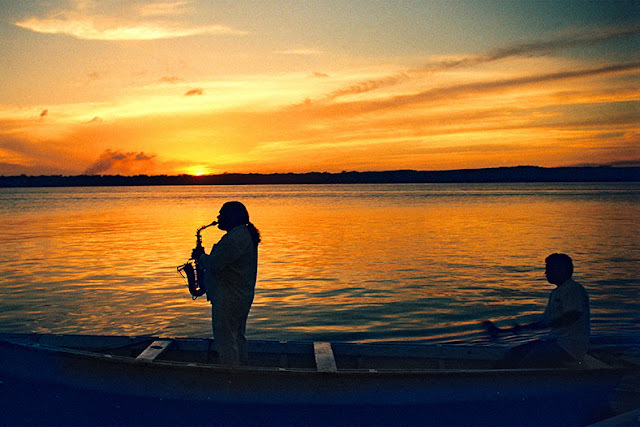 The sunset on Jacare Beach (River Beach), located in Cabedelo, 18 km from Joao Pessoa, is a mandatory stop. At the sound of Ravel's Bolero, visitors can watch this spectacle of nature. 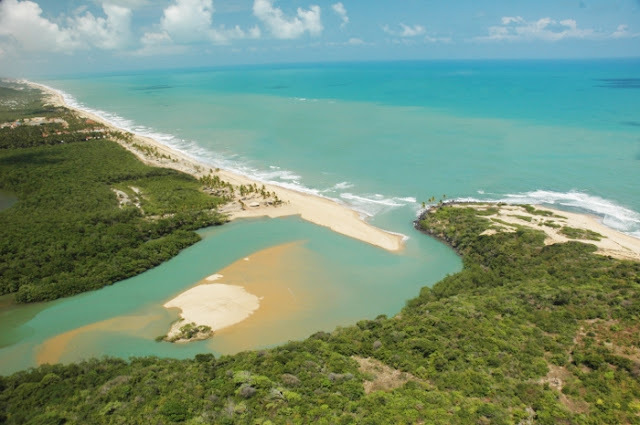 Praia de Camaratuba: The beach Barra de Camaratuba is located on the border between Paraiba and Rio Grande do Norte, located between the rivers Camaratuba and Guajú, distant 110 km from the capital João Pessoa. 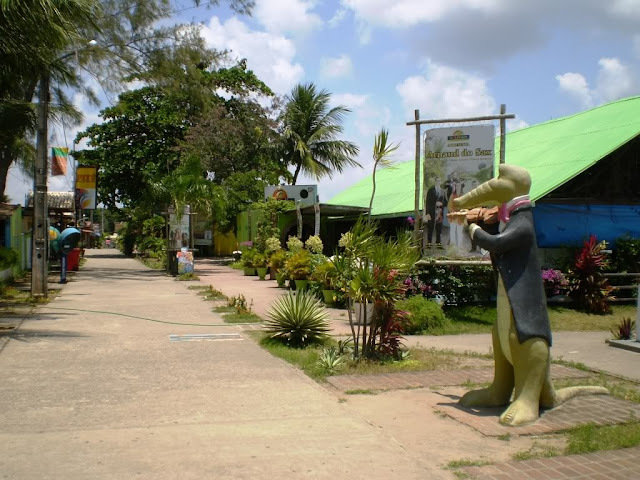 In the area there is a small fishing village in the municipality of Mataraca (PB). 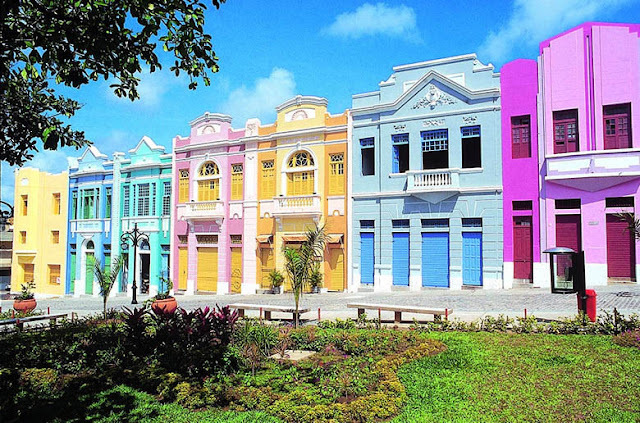 João Pessoa is the capital of Paraíba, a state in the northeast region of Brazil and home to 19th and 20th century Brazilian poets and writers such as Augusto dos Anjos, José Américo de Almeida, José Lins do Rego, and Pedro Américo. 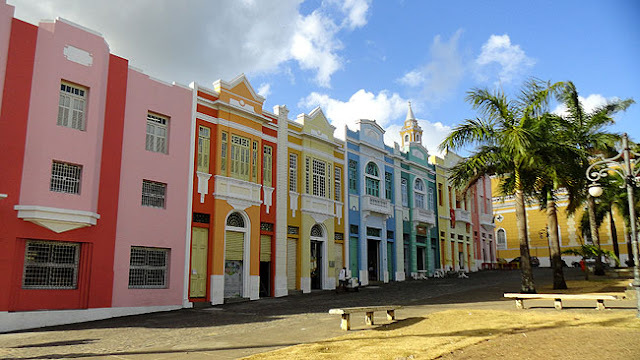 It was founded in 1585 and it is also known as the city where the sun rises first, because it is the easternmost city in the Americas at 34° 47′ 38″ W, 7° 9′ 28″ S. Its easternmost point is known as Ponta do Seixas. The city is considered "the second greenest in the world", with more than 7 square kilometres (2.7 sq mi) of forested land, second only to Paris, France. 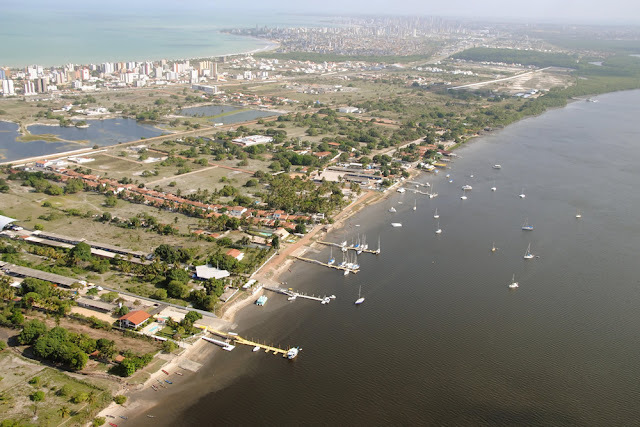 Ponta do Seixas also known as Cape Branco, is a cape on the Atlantic coast of Paraíba state, eastern Brazil, that forms the easternmost point of the American continents, roughly 8 km (5 mi) southeast of João Pessoa, the state capital. It is surrounded by white sand beaches bordered by flat-topped forms of sedimentary strata called "tabuleiros", which rise sharply above the beaches to heights between 150 and 500 ft, and enjoys abundant rainfall. 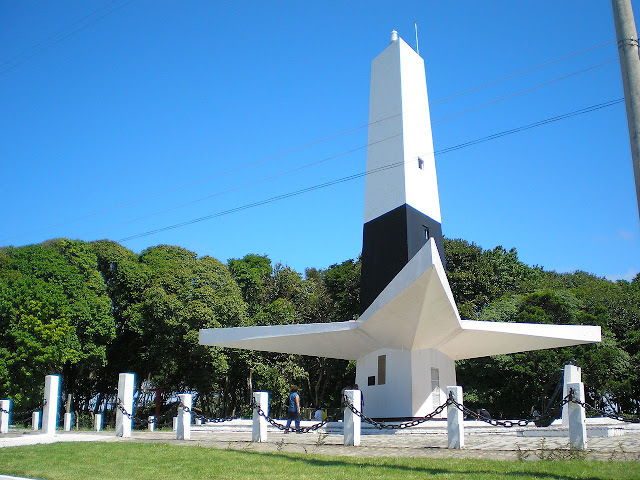 It lies on the coastal highway connecting João Pessoa and the port of Cabedelo farther north. The city is one of the oldest in the northeast of the country. 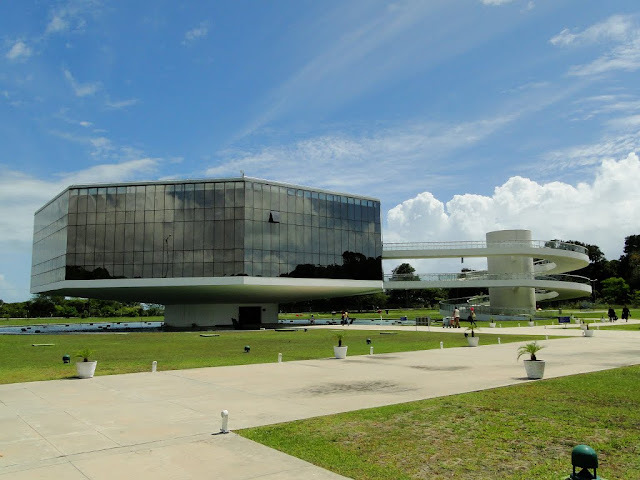 The new "Estação Ciência, Cultura e Artes" (Science, Culture and Art Station), below, located at the most eastern point of the Americas (Ponta das Seixas), is both an educational and cultural institution as well as a national landmark. The complex, inaugurated in 2008, was created by Brazilian architect Oscar Niemeyer and is one of his last projects. 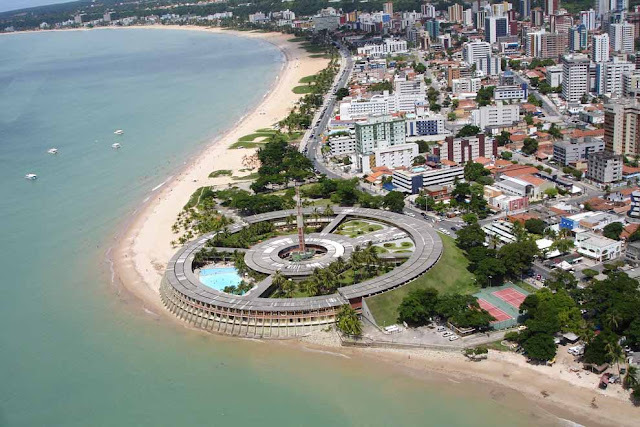 "Joao Pessoa is a richly vibrant city. As you walk along the street, you pass a mixture of palm trees and houses of all shapes, sizes, and colors. 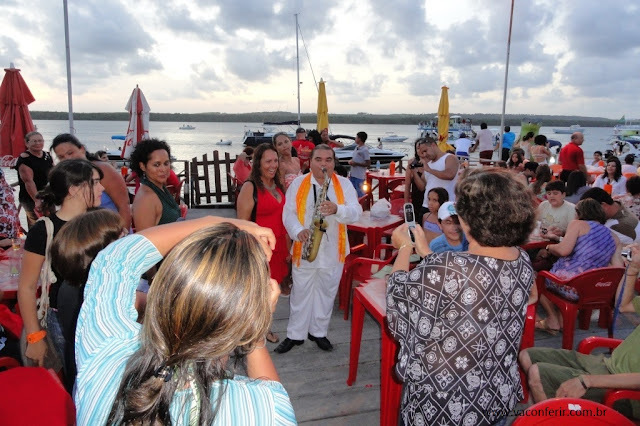 Everywhere you go you will see open cars with big boom boxes playing Forro (Brazilian cultural music), Sertanejo (Brazilian country music), or Pagode (carefree dance music). The people are very open and inviting. As you talk to people on the street and enter their homes, you will constantly encounter smiling faces. Regardless of whether the people have a desire to go to church, they will invite you in and be very hospitable. As you spend more time with these people, the more your love for them and their way of life will grow." 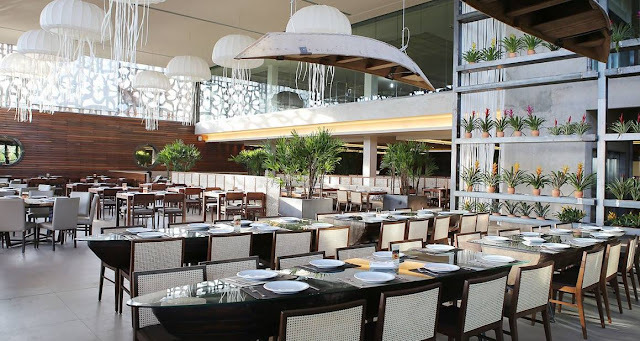 Mangai: Mangai's spectacular regional buffet is available in other cities, but it hails from João Pessoa. Most items are labeled in English, and there’s plenty for vegetarians, as well as great meat and seafood dishes. Save room for some of the decadent desserts! Ilha de Areia Vermelha: is an island of red sand that emerges off the northern beaches at low tide for roughly half the days in each month. Boats park around the island and the party lasts until the tide comes in. The 20km-long beachfront is agreeably clean, low-key and low-rise (no buildings above four stories allowed), with the central beach neighborhoods of Tambaú, Manaíra and Cabo Branco being the best areas to base yourself. The historic center, 7km inland, is steadily being spruced up after attaining National Heritage site status in 2007, and makes for an interesting wander. All in all, João Pessoa, or ‘John Person’, is a very nice spot to break up a journey.